This entry was posted in architecture, city of st. louis, mid-century modern, st. louis history and tagged central west end, friends of the san luis, holiday inn midtown, hotel deville, jeff vines, jonathan swegle, lindell boulevard, michael allen, randy vines, san luis by Toby Weiss. Bookmark the permalink. I have always admired the DeVille since it opened in 1963. I admired the way the original gold and blue curtains in all of its windows set off the buildings architecture. It is sad that its demise is being planned for a parking lot. If the high school down the street needs 180 parking spaces how come they are not using the ones in the San Luis now? Great video! This past summer, I did some serious scouting of the building for a possible shot, and although it didn’t connect with me with that result, I came away admiring its form, its style, its siting . . so many things that you’ve captured. Again . . .you’ve done a great job bringing to our attention another St. Louis treasure. Thanks for the posting. My grandmother lived in the San Luis in the 70’s, her apartment overlooked the Basilica. I remember it as a fantastic building. advocacy can also apply to buildings shaped like the other 25 letters of the alphabet as well. Thanks for posting this. I work in CWE and this building is one of my favorites. 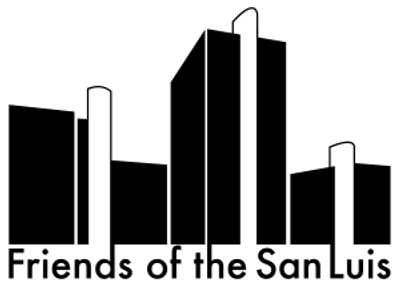 Thanks for the post and link to Save the San Luis. Wow. That was seriously wonderful! Great job, guys!